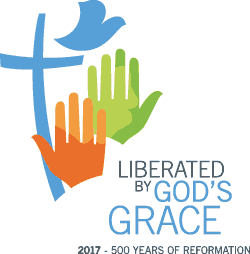 (LWI) – Lutherans from all over Switzerland gathered in Geneva on 10 September for a eucharistic worship commemorating both the 500th anniversary of the Reformation and 50 years of the Federation of Lutheran Churches in Switzerland and the Principality of Liechtenstein (BELK). Hundreds of worshippers filled the Temple de la Madeleine Reformed church where the Sunday service was held, reflecting the diversity of Lutherans in the country, drawn from Danish, English, Finnish, German, Malagasy, Norwegian and Swedish speaking congregations. Also attending were ecumenical guests from the Reformed tradition, Catholic church and other Christian denominations. He said the Reformation Anniversary was an opportunity “to reassert the preciousness of this message” that speaks to our human condition. “One doesn’t need to live in any special time, nor in any special place to be able to receive the good news of God who has chosen to set a tone of compassion, solidarity, justice and peace in our world.” This is a message, he said, that people need to continue hearing. The festive service included the sharing of Bible verses written out on long cloth ribbons, which after being read out by a representative of each BELK congregation were passed around the worshippers and displayed on a wooden frame at the front of the church. Moved to the church entrance at the end of the service, the colorful ribbons acted as a gate through which worshippers passed to emphasize the centrality of the Bible in the life of the Lutheran church. Those gathered later shared a common lunch on a boat at Lake Geneva, which included a presentation on BELK’s history. The BELK (Bund Evangelische-Lutherischer Kirchen in der Schweiz und im Fürstentum Liechtenstein) was founded in the early 1960s by five independent Lutheran churches to promote community across the boundaries of their own parishes. It joined the LWF in 1979, and its congregations bring together nearly 5,000 members.